I am stoked to share my new offering with you. Yoga retreats in the beautiful Okangan. Kisses from the sun, food from the earth, fresh mountain air... finally you can breathe. From meditations in the mountains to lakeside yoga practice, Okanagan Yoga Retreats accesses the powerful gifts in our natural surrounding to help you reconnect to a deeper state of vitality, clarity and balance. 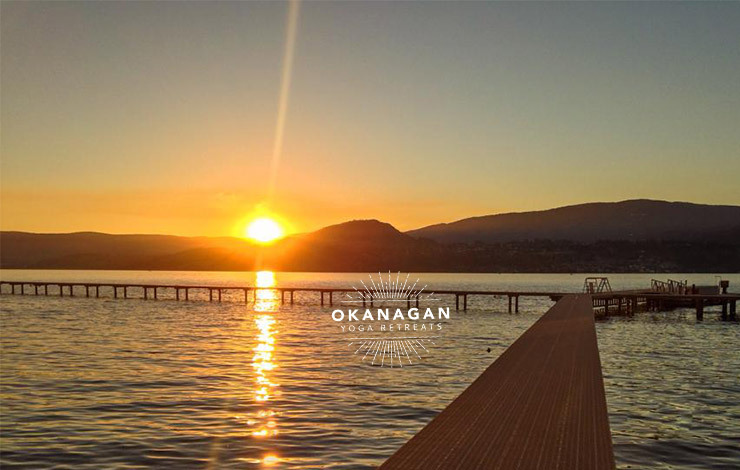 From the sweet sunshine, breathtaking views and delicious local delights, our retreats offer a complete sensational experience in celebration of the the Okanagan’s natural abundance. Fulfillment is about more than just work or home or relationships. Cultivating life balance and exploring personal potential really is an inside job. When considering how and why things remain chronically out of balance despite our best efforts, acknowledging the role of rest and connection to spirit and nature can be a pivotal catalyst. Safe in an immersive environment, you can explore nature, spirit and rest; and begin to discover the degree to which you have been overlooking your own potential and possibilities in your life. Learn specifically where your life out out of balance, and discover simple practices to help bring your life into alignment. Feel better, happier, clearer. Not your typical, new-agey, traditional yoga experience, our approach to the classical teachings is intentionally practical and immediately applicable to the modern personal, social, political and global experience. Yoga and meditation can make you a better parent, wife, husband, boss, son, daughter, human being. And really, isn't that what we all want? Like peas and carrots, pb and j, wine and cheese, we go together. We met at our first yoga teacher training when, on the first day, we put our mats down beside one another. Since then, we've launched an amazing friendship and a natural partnership. As retreat leaders, we really try to infuse our special dynamic of both yin and yang, introverted and extroverted, fiery and calm to provide a wonderfully balanced experience that resonates strongly with our guests and students. Over the past several years, we have worked collaboratively to present workshops and intensives in yoga and meditation, as well as life-skills, student mentorship and coaching. Our Life of Purpose sessions, a series of workshops integrating lifestyle elements with yoga and meditation practice was really the genesis of Okanagan Yoga Retreats. We loved working more intimately with people and felt we had more to offer than just our few hours together could cover. So here we are! We want welcome you to be our guests this year in the Okanangan, an extraordinary place that we are blessed to call home.